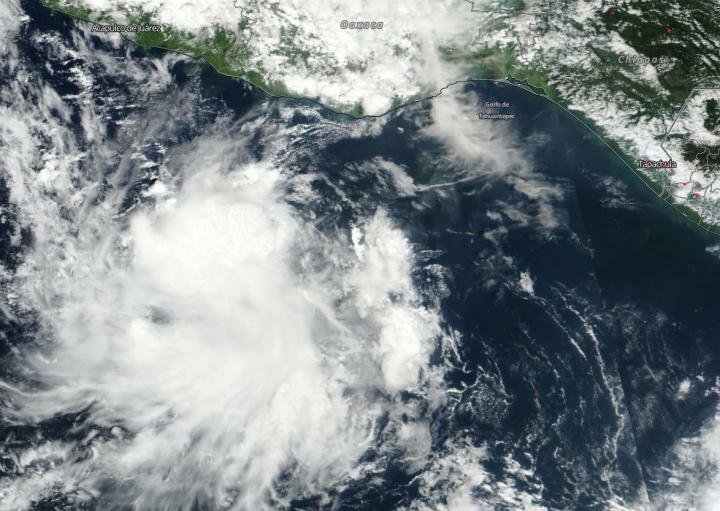 NASA-NOAA's Suomi NPP satellite passed over the Eastern Pacific Ocean and captured a visible image of the small tropical storm named Vicente. On. Oct. 21, the Visible Infrared Imaging Radiometer Suite (VIIRS) instrument aboard NASA-NOAA's Suomi NPP satellite passed over Vicente and captured a visible image of the storm. VIIRS showed that the storm was small in diameter. Tropical-storm-force winds extend outward up to 45 miles (75 km) from the center. Vicente appeared less organized in the image than it did hours earlier.